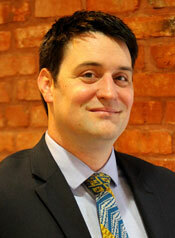 John is an associate at Maune Raichle Hartley French & Mudd, LLC. His exclusive focus is representing victims of asbestos exposure. A native of Memphis, Tennessee, John was a teacher, whitewater rafting manager, and director of a graduate-level Americorps program before attending law school. During his studies at Saint Louis University, John penned a winning federal appellate brief while interning at the U.S. Attorney’s Office. After earning his J.D., John worked for two judges at the U.S. District Court for the Southern District of Illinois, writing extensively on matters as varied as civil rights, federal sentencing, insurance coverage disputes, corporate liability, and electronic discovery. He also helped author the district’s local rules. John then clerked for a year at the Missouri Court of Appeals (Eastern District) before starting at MRHFM. He is proud to work on behalf of those afflicted — through no fault of their own — with asbestos-related cancer. John is happily married with two sons. He and his family live in St. Louis, where John still mentors his “Little” through Big Brothers / Big Sisters of Eastern Missouri.